“The Byck family’s commitment to rebuilding the winery, despite insurance challenges and the extent of destruction caused by the fires, has been incredible. 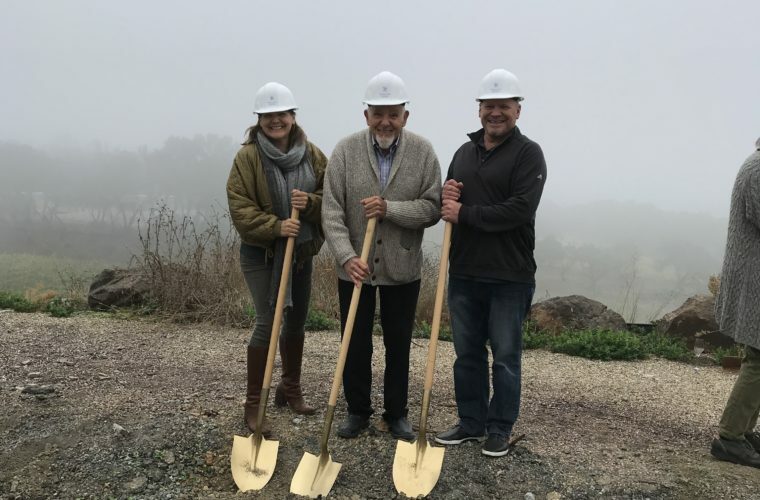 Our team is excited to be part of this project and we’re committed to constructing the new winery in time to have people celebrating weddings and admiring the views by fall of 2019,” stated Bryan Wright, Vice President of Wright Contracting and Project Manager for the Paradise Ridge Winery project. The Wright team engaged with the Byck family and TLCD Architecture shortly after the fires to discuss a value engineering approach that could allow the rebuild to happen despite an insurance shortfall. The new facility features innovative design elements and materials to improve the site’s safety and fire resistance, while retaining the look of the original winery. The team worked closely through the pre-construction design, estimating and scheduling phase and will continue to do so throughout construction to ensure that the project stays on schedule and within budget. Wright Contracting, a commercial General Contracting company which has been operating in the North Bay since 1953, is working with a number of home and business owners who lost their properties in the October 2017 fires. In addition to the Paradise Ridge Winery project, Wright Contracting is rebuilding portions of Cardinal Newman High School, Ursuline High School/Roseland Preparatory High School, the Shea House at Sutter Hospital, the Santa Rosa Community Health Center and a private estate. For more information, please contact Lisa Freedman at lfreedman@wrightcontracting.com. For project renderings or more information about the project please visit https://www.wrightcontracting.com/portfolio/paradise-ridge-winery/.